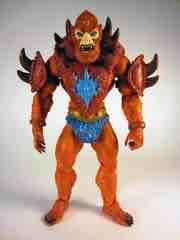 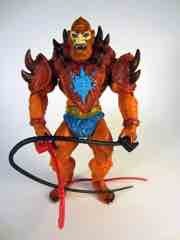 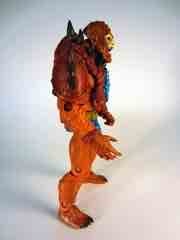 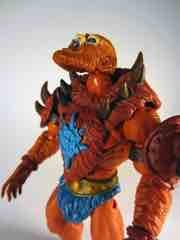 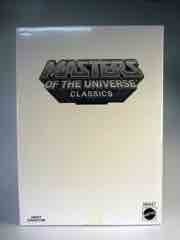 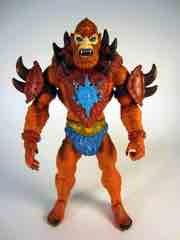 As the debut bad guy in Masters of the Universe Classics, Beast Man took a while to sell out - over a month! I didn't even jump on this figure because I mistakenly assumed the line would be a series of figures stacking up, and when there were 4 or 5 figures, I'd place an order. It didn't work out that way - I ended up chasing Beast Man and didn't get mine until a few years later. Thankfully I found one at regular retail price, because he came and went a few times - and now he's more than a little expensive. Tradition in toy collecting dictates that rare figures are expensive, as are core characters - and ol' beastie here is certainly in the latter camp. 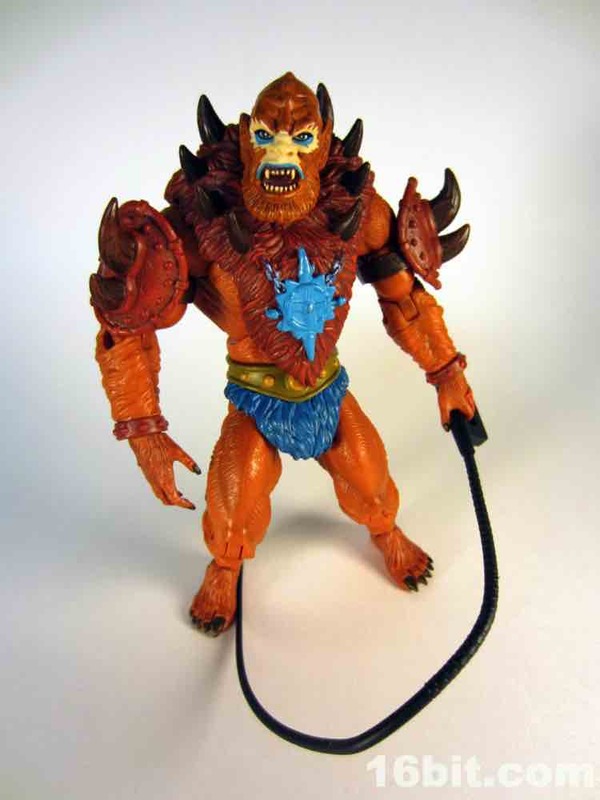 If you watched the cartoon or read the mini-comics, you know of this red-furred ruffian and he even has a creature steed of his very own. He's a required purchase, and as such, those who snoozed shall lose a few bucks. Beast Man was a surprise debut choice to me, because when I think "MOTU" I think Skeletor first and foremost - in the 2002 relaunch, I had zero interest in the line until I got a Skeletor in my hands. (Well, I wanted Mer-Man, but he was late.) 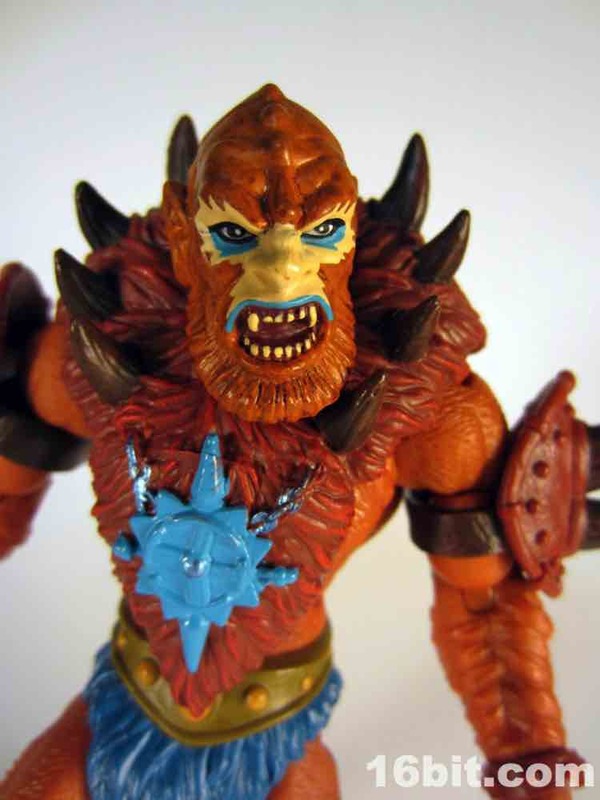 Beast Man was never a favorite of mine, despite being an integral part of the franchise and arguably the face of evil. 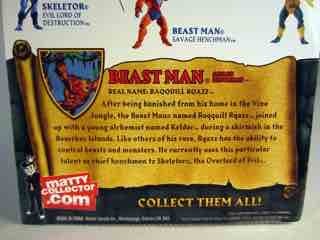 Because, you know, Skeletor has no real face to speak of. 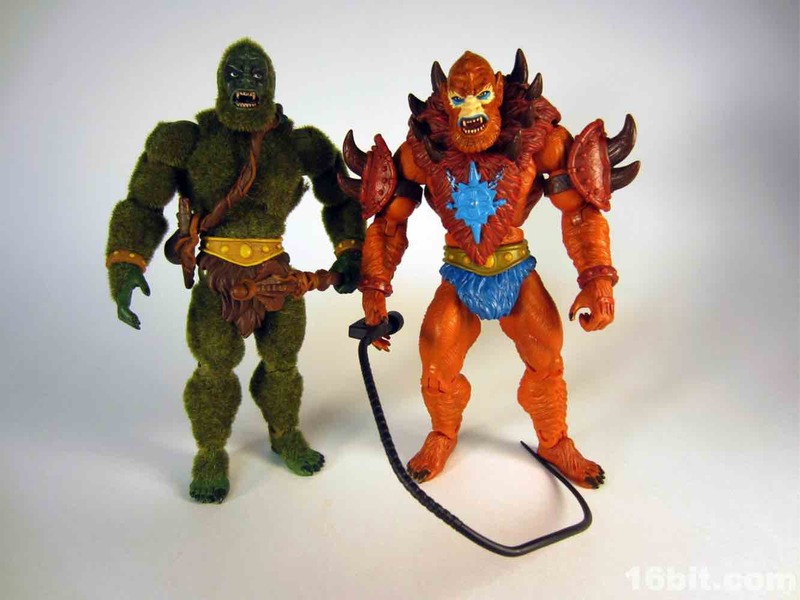 The sculpting by the Four Horsemen was amazing, while the proportions were true to the original action figures from the 1980s. 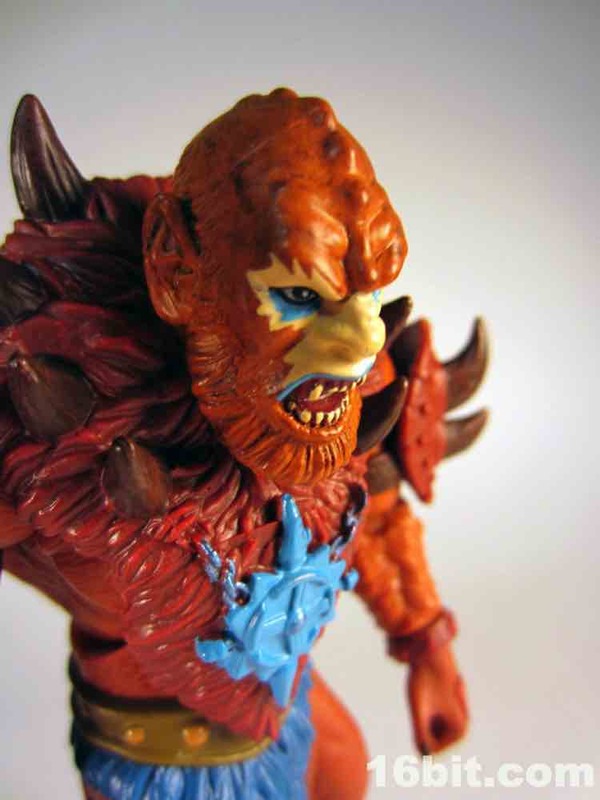 The level of detail and quality of the sculpt and deco are really remarkable, with subtle applications to bring out the detail on the furry limbs, fuzzy armor, and of course the carefully painted face with individually painted teeth... and outlines... and a red mouth. Looking at this figure over 5 years after he first shipped, it's actually still quite stunning at just how much deco and detail we got on this figure. 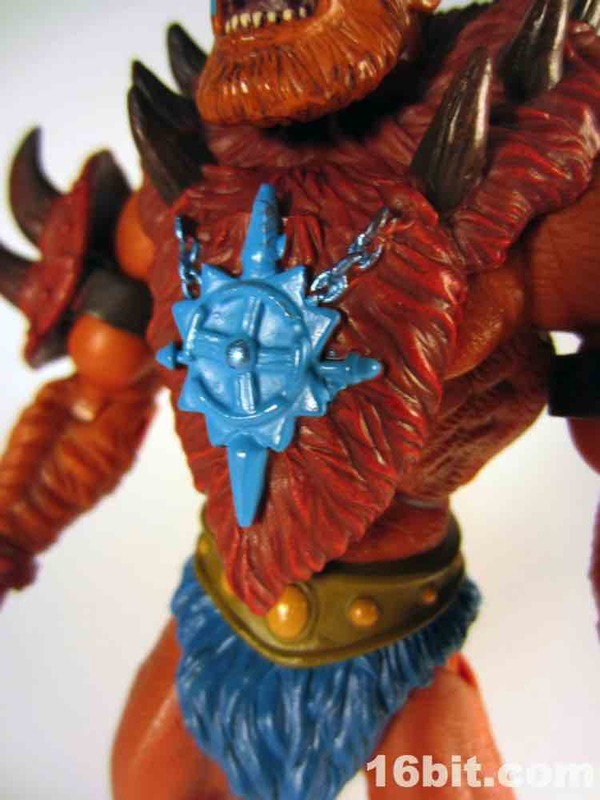 The blue loincloth has a greenish belt and yellow buttons on it - it's wonderfully done. 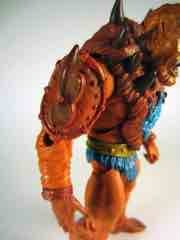 Painted claws and spikes bring the figure to life, as do light deco on his bracelets and spiked shoulder pads. 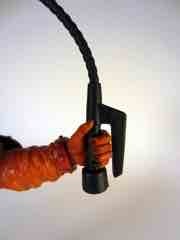 He has no problems holding a whip in either hand, thanks to the design with the grip and an extra piece to clamp on. Overall, it's a pretty impressive creature - and if you prefer a red whip, one was included in one of the Weapons Paks. The face in particular is utterly loaded with personality. 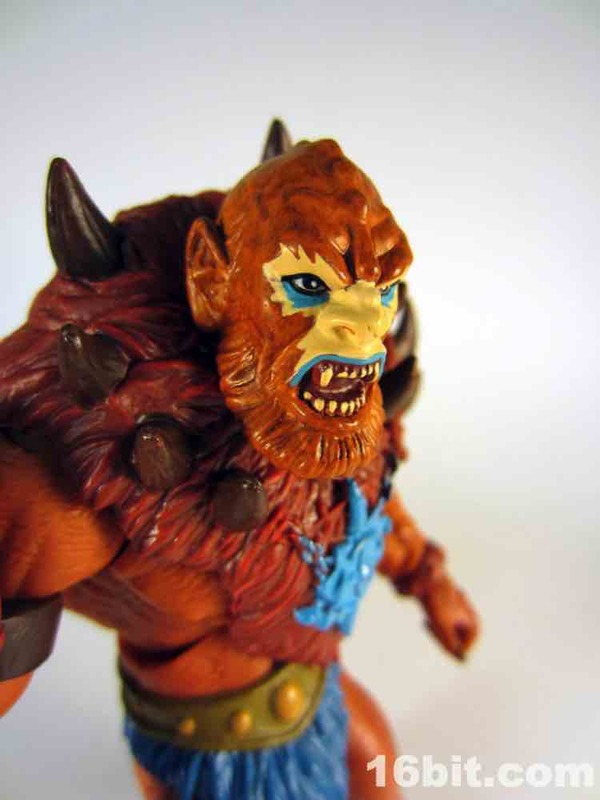 The spikes on the head, the pointed ears, the beard, the ridges, the blue outlines on his eyes, and the pale fleshy paint would look good on any figure - but the mouth and eyes really bring him to life. 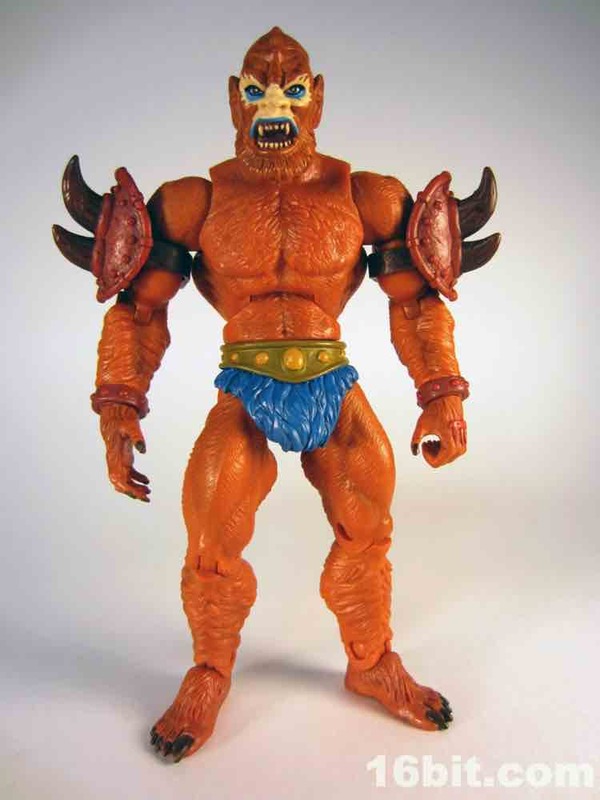 Beast Man is basically a labor of love, channeled through the world's biggest toy manufacturer. The end result is something that, especially now, it's remarkable anyone ever dragged their feet shelling out $20 to get one. 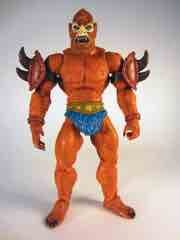 I include myself in this number. How did I not jump on this figure on the very first day? 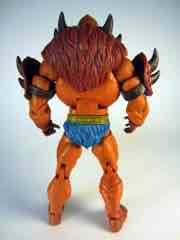 Well, lesson learned I guess - and the free market has rewarded this quality figure with an appropriate price tag. 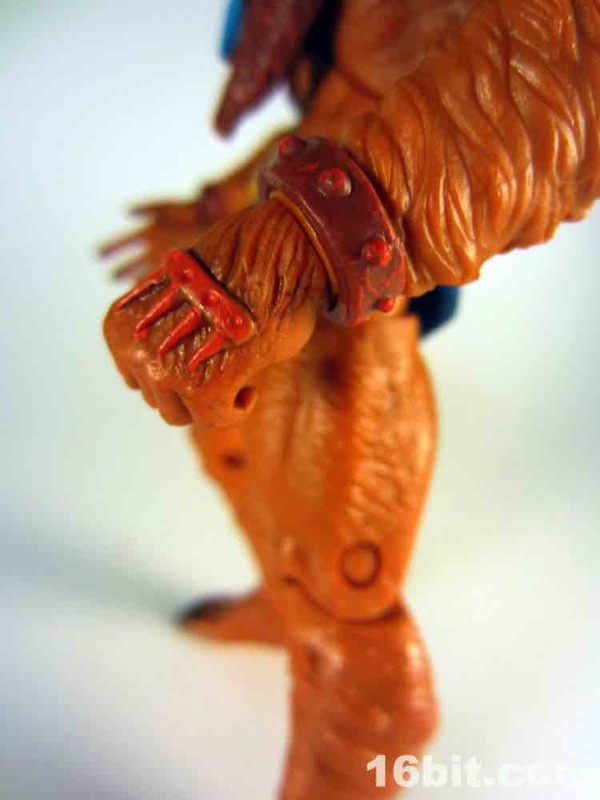 With about 19 points of meaningful articulation, this figure is good - it lacks the "boot cut" joint of figures in shoes, but the bare legs are covered with hair and such a joint would ruin the illusion. 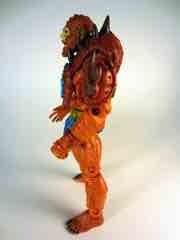 His range of movement lets him stand tall or cower down. 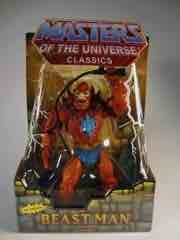 He has no problems riding his giant pet Griffin, which is a stunning creation. Of all the early figures, this is probably the single best one in the lot - even though the character isn't my favorite, the toy is just stunning. 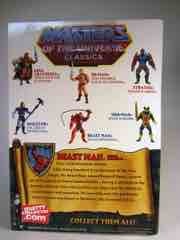 If you ever see one for a fair price - let's say $40 or under - you should snag one.